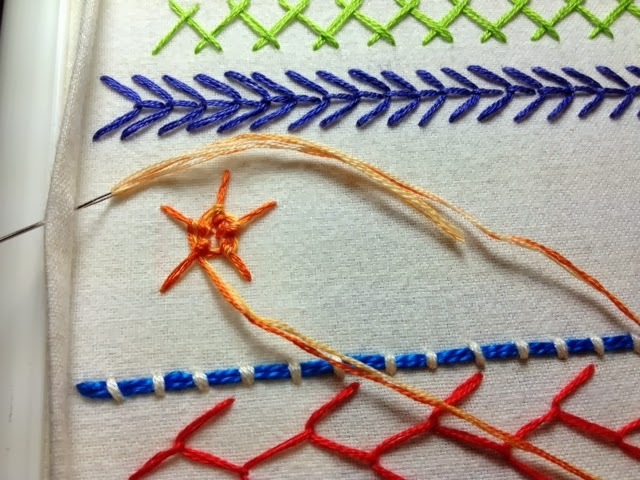 This week we have the whipped wheel for Take a Stitch Tuesday. 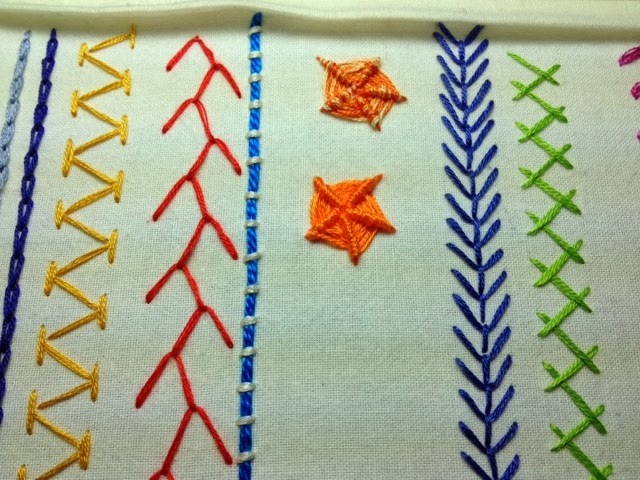 I had to look up a few tutorials online for this stitch. I just couldn't figure out how it was done. But once I figured it out, it was actually easier than I thought it would be! My first wheel I used 4 strands of orange variegated floss. You will see in the photo below, I have an opening in the middle of the wheel. I didn't connect all my spokes (straight stitches) in the center. 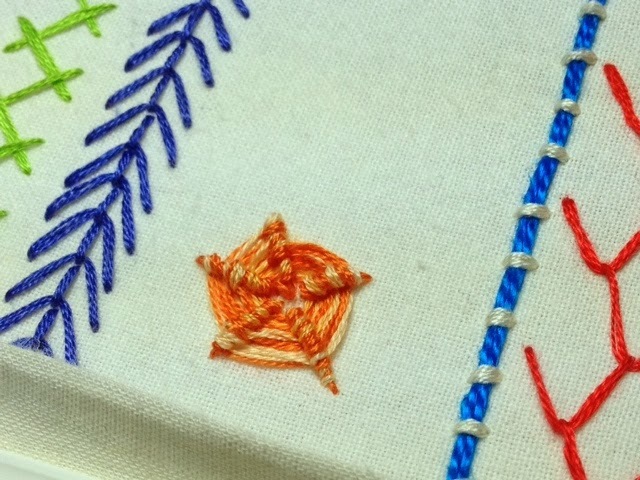 I stitched another wheel for practice. My second wheel I used 6 strands of solid orange floss and made sure my spokes of the wheel were connected in the center. I think I like how the second one looks. Much better! Looks a lot neater. 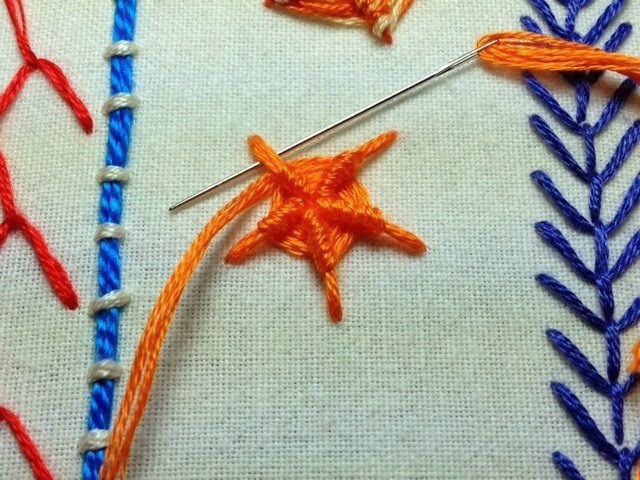 And it seemed easier to do this stitch with more strands of floss. 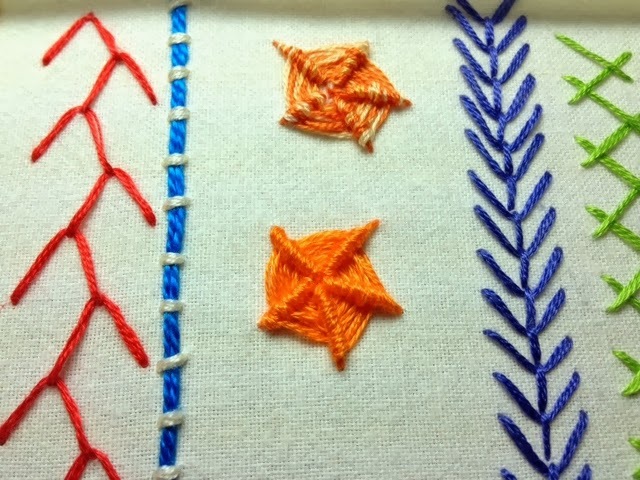 For more information on Take a Stitch Tuesday click here! Always nice to see your work. The solid orange is neat and even, the variegated has charm and you could place a bead in the centre if you don't like the empty space. This stitch is perfect for working in unusual threads. 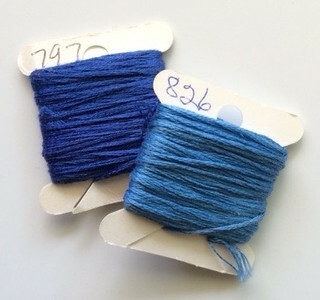 Have you ever tried knitting wool, thin ribbon or a thick embroidery thread? Give it a try and see! Thanks! I always appreciate your comments and suggestions!